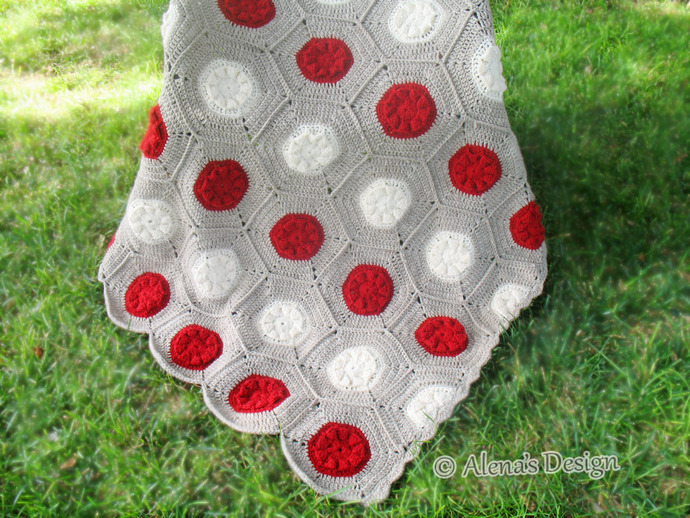 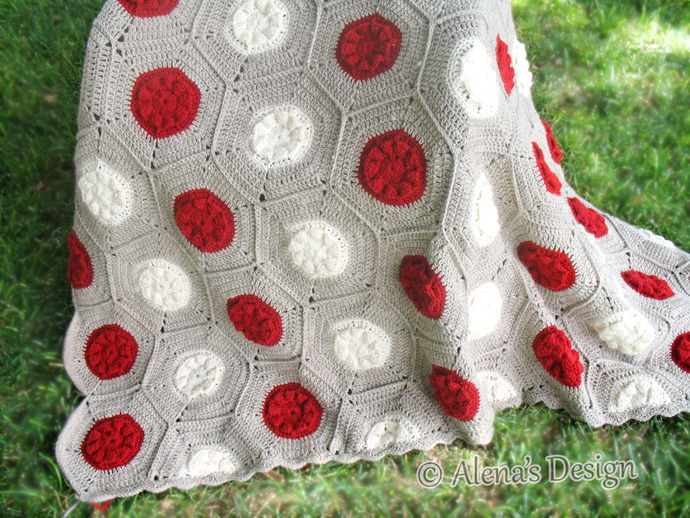 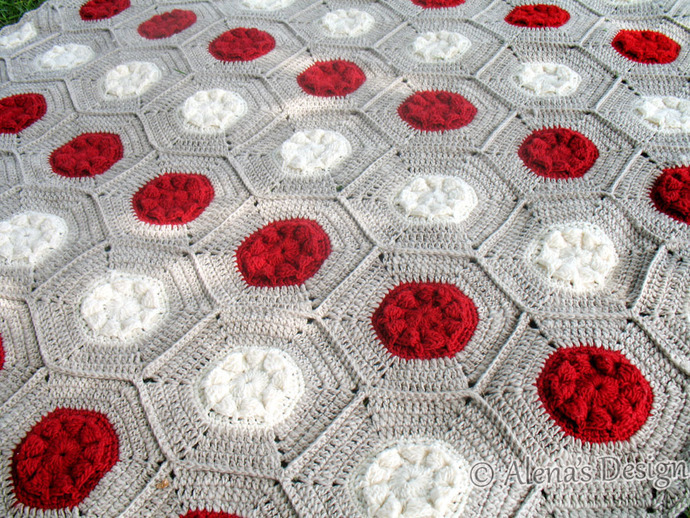 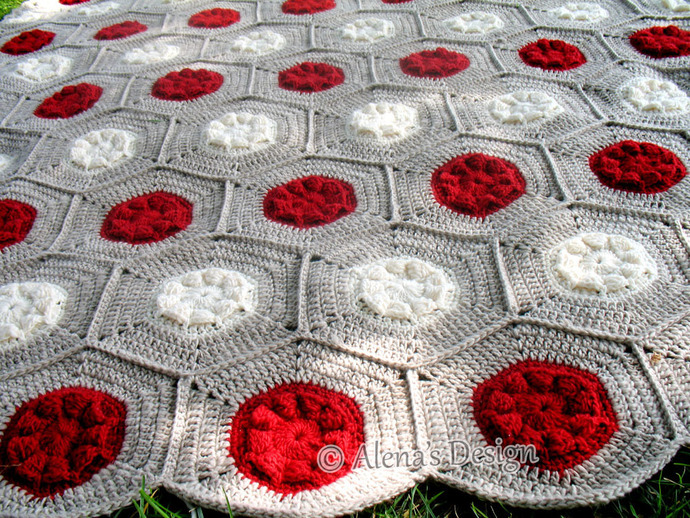 This Hexagon Flower Blanket is made from 65 hexagon-shaped motifs worked in joined rounds, and 10 half hexagons worked in rows. 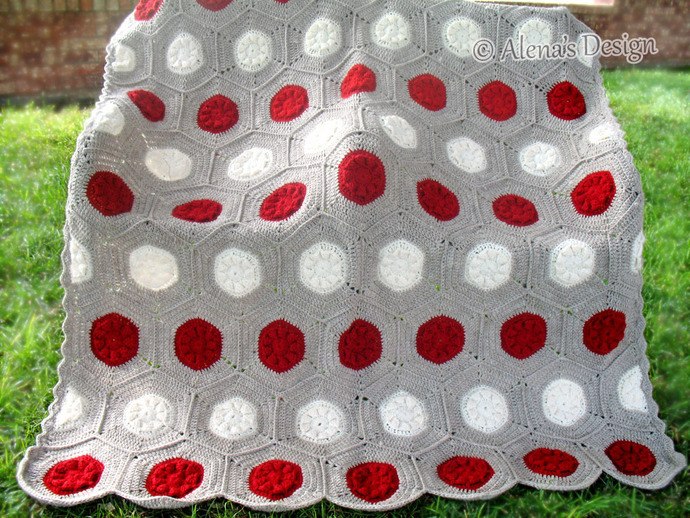 but you may make a blanket of any size. 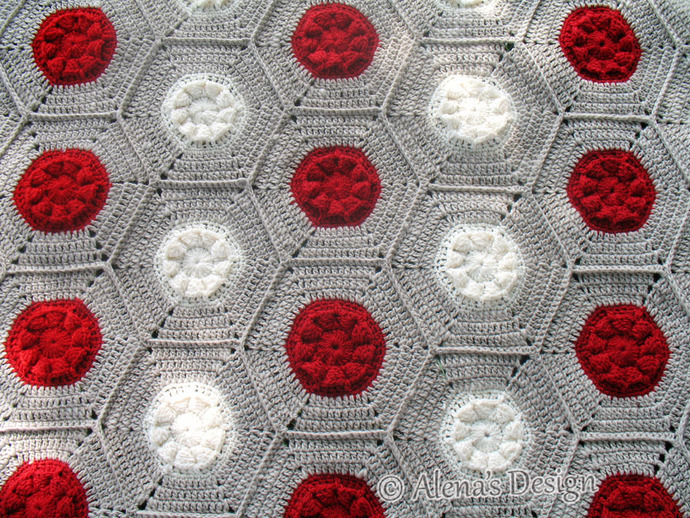 Crochet it in two colors of flowers as shown, or more colors that you like. 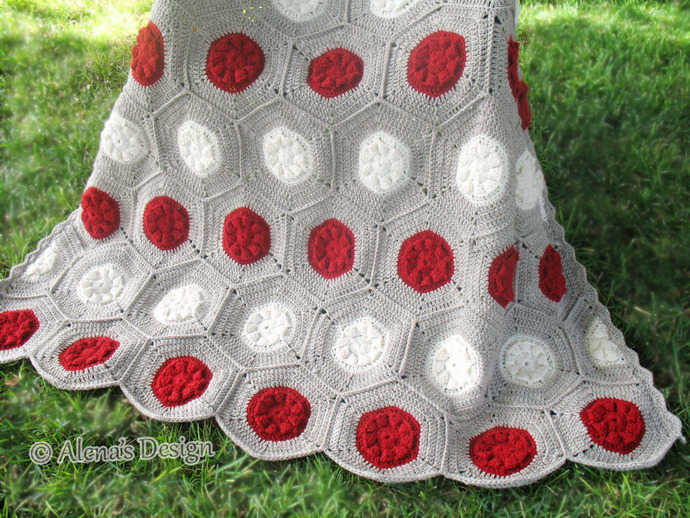 Enjoy it every evening as you relax.